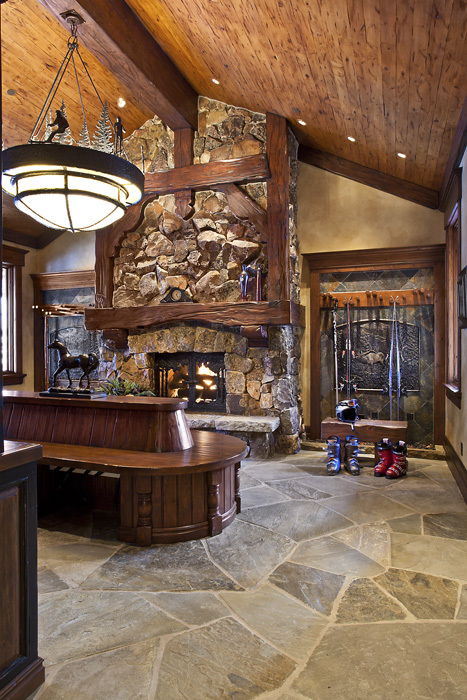 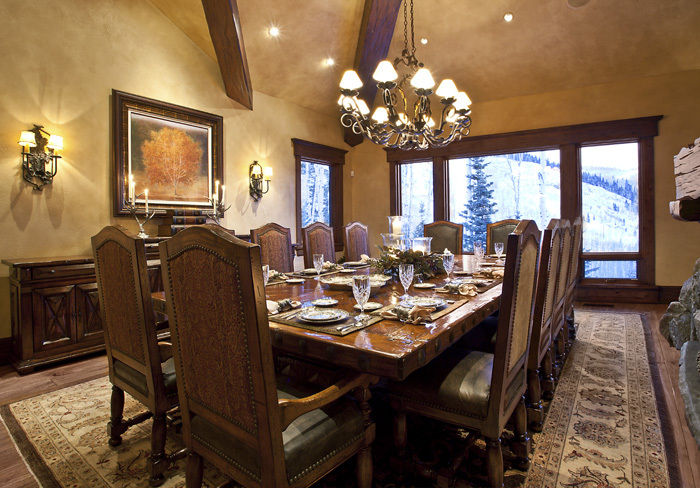 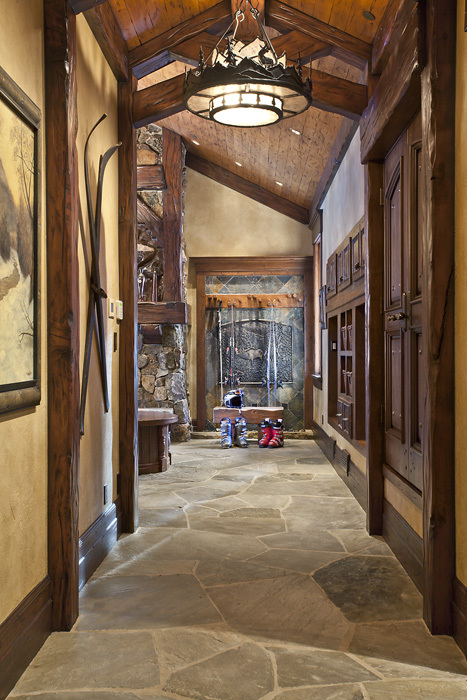 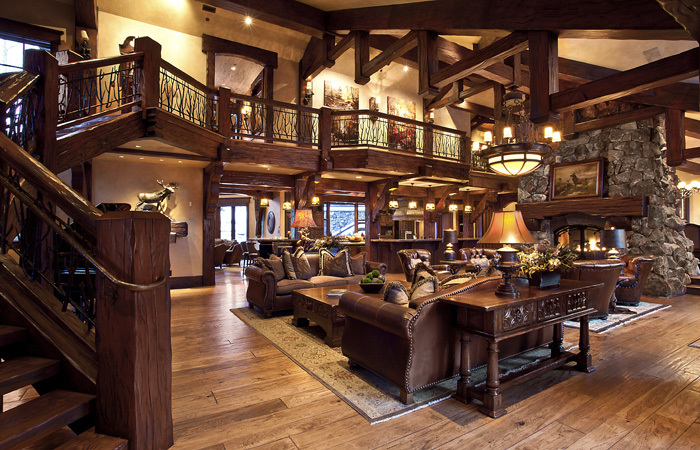 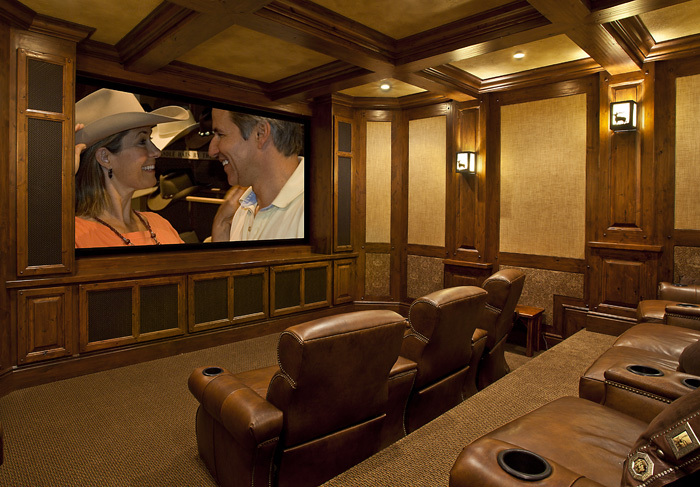 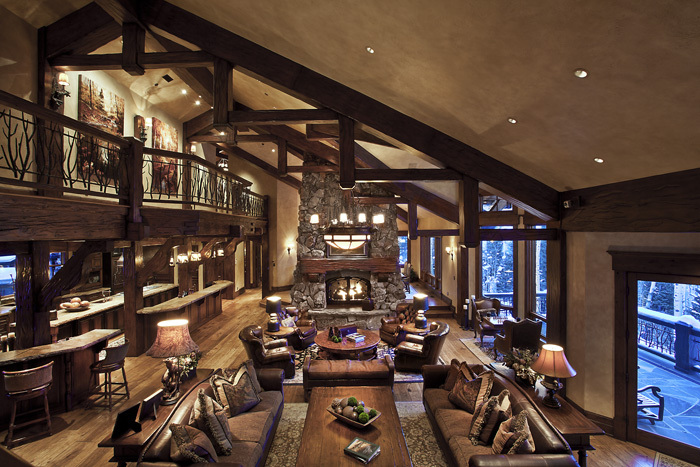 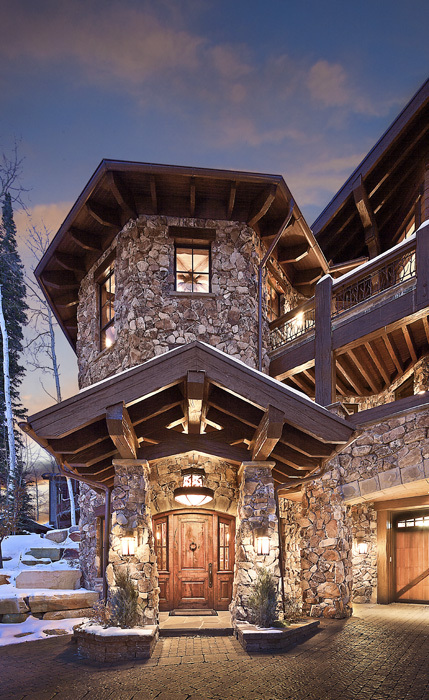 Florida residents who wanted the ultimate luxury ski in/ski out lodge. 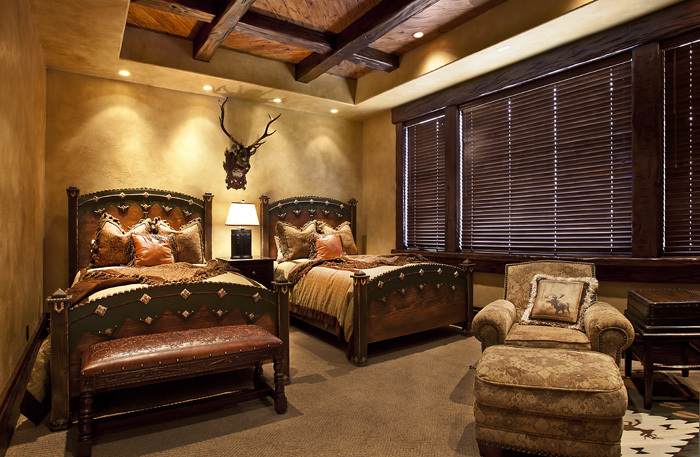 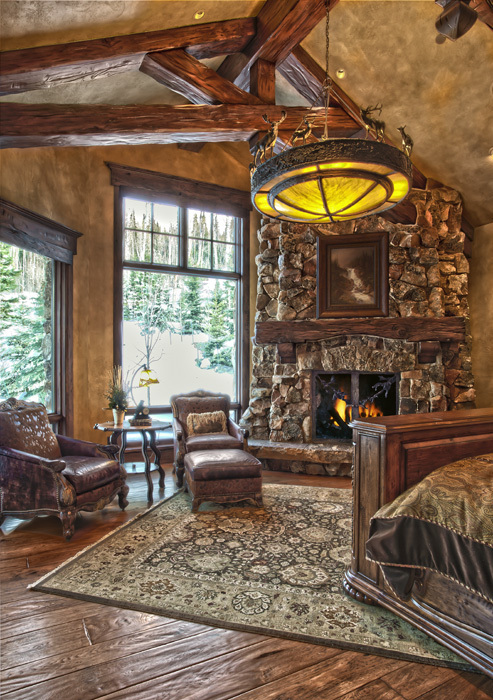 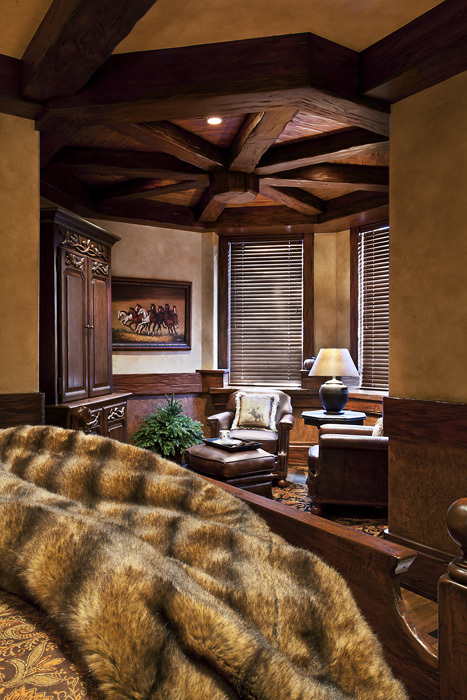 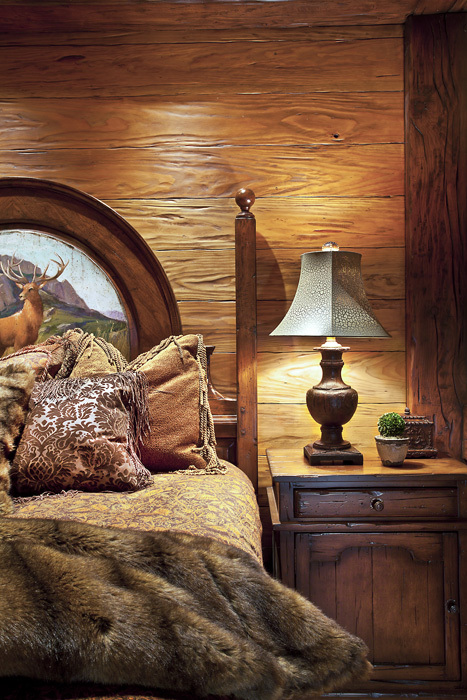 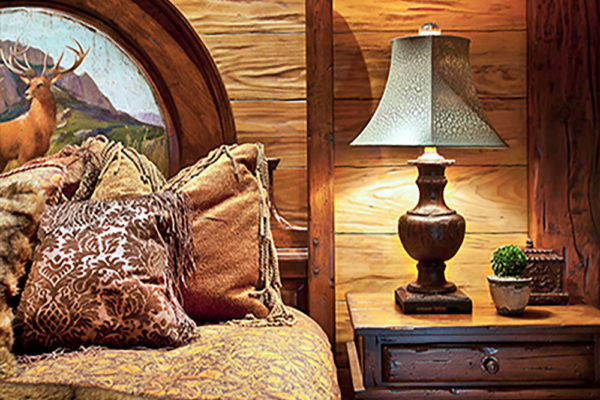 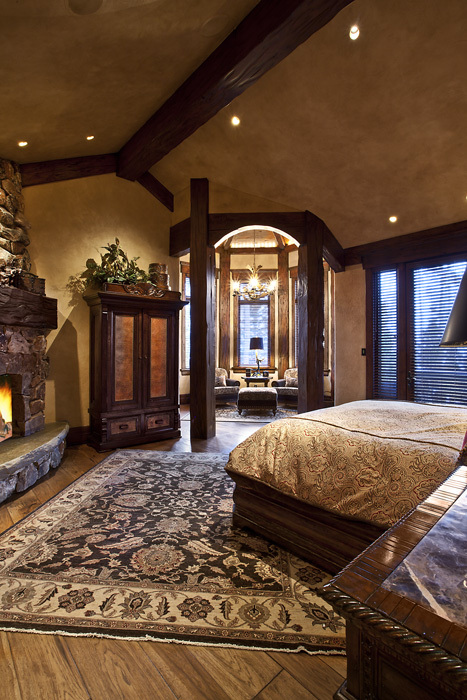 The Master Suite features a custom, hand carved and painted king bed with concealed TV. 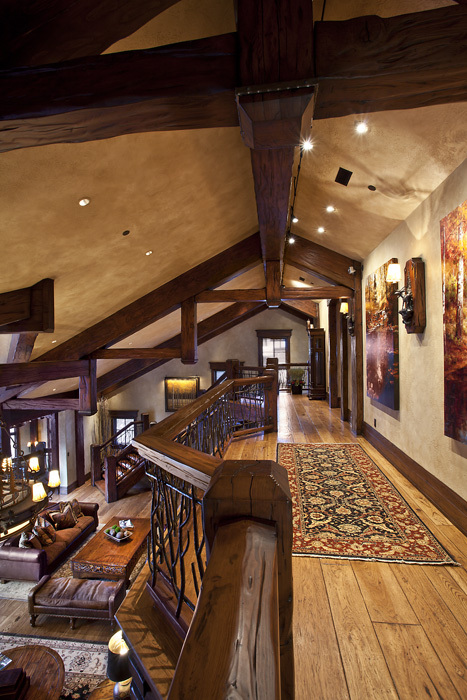 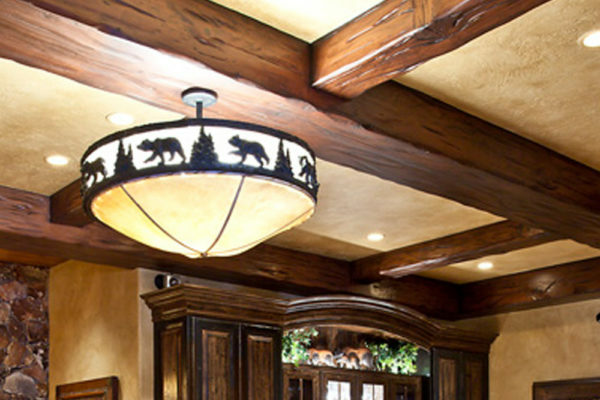 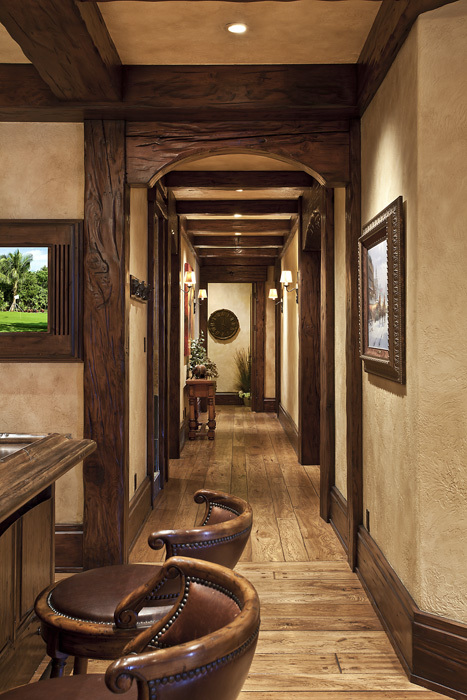 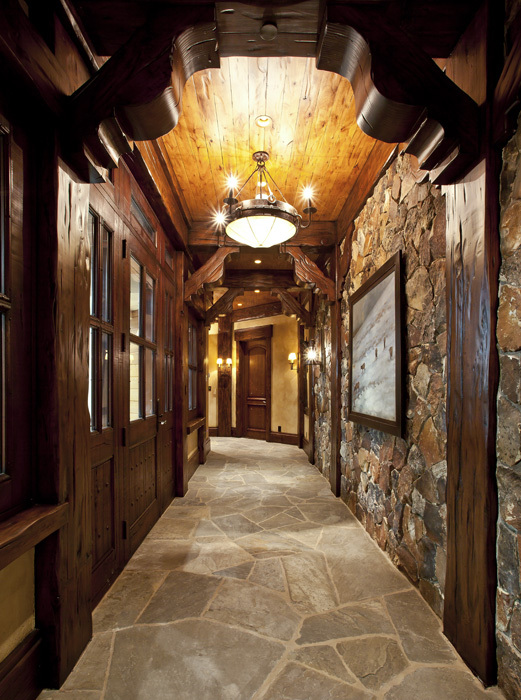 The entire lodge consists of enormous hand crafted beams and trusses. 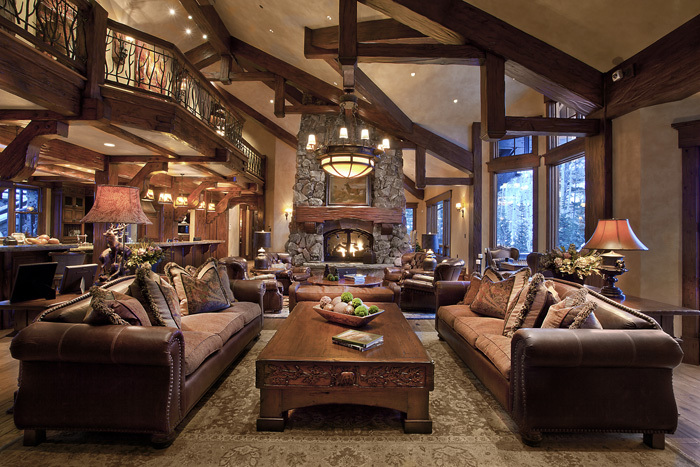 A magnificent chandelier is centered over an inviting fireplace grouping of rich leathers. 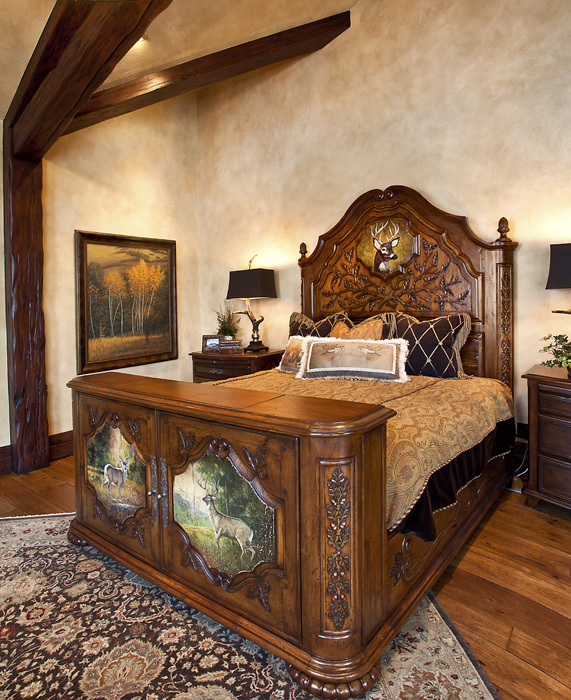 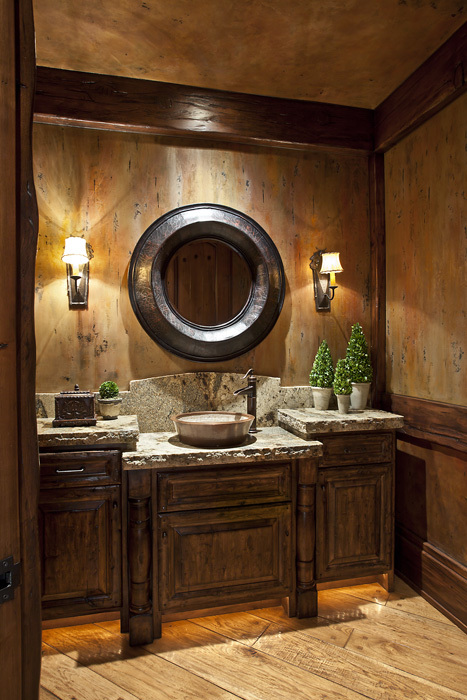 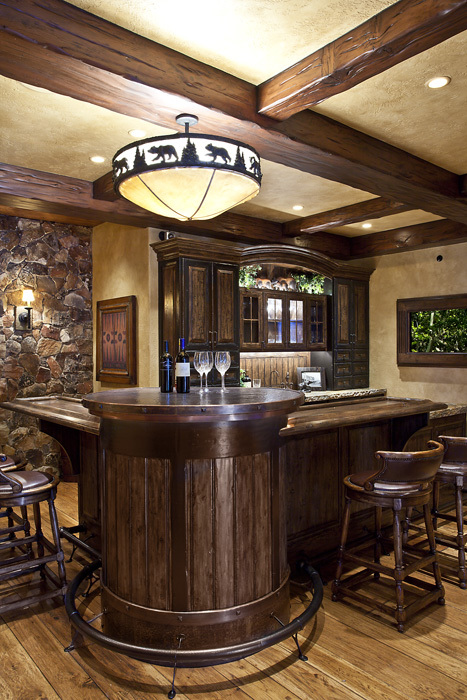 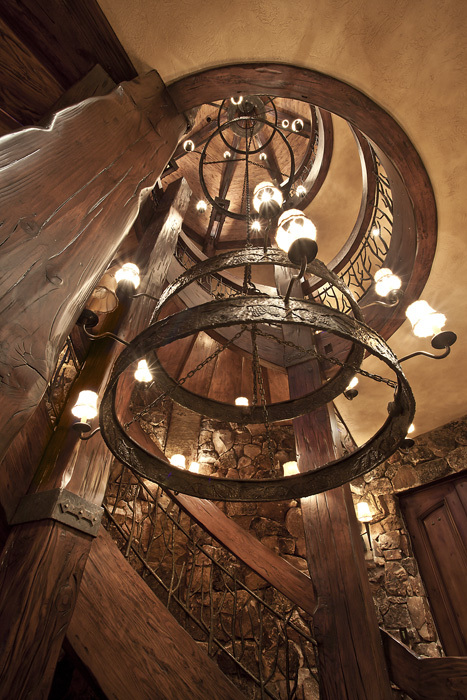 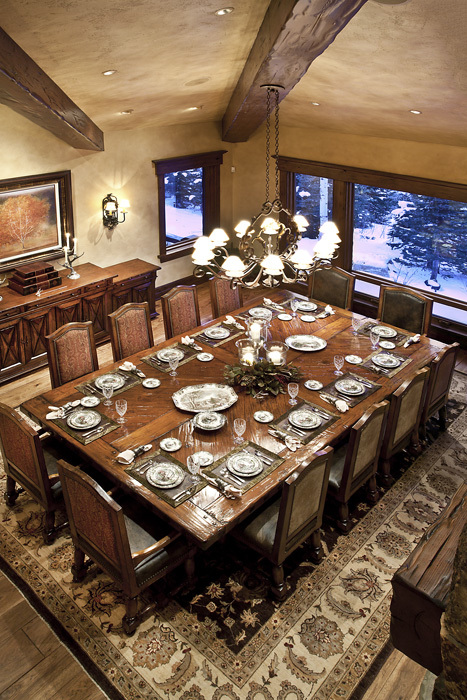 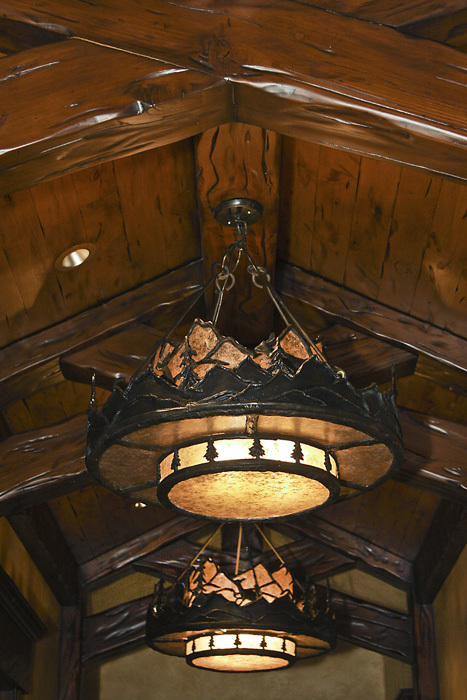  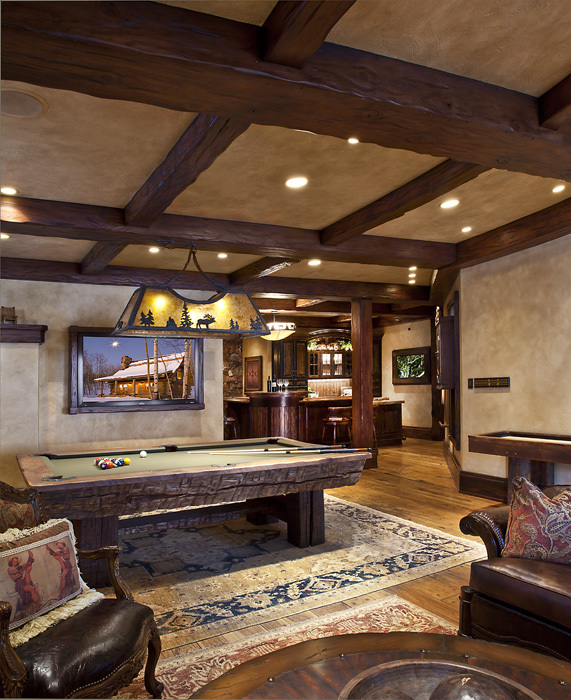 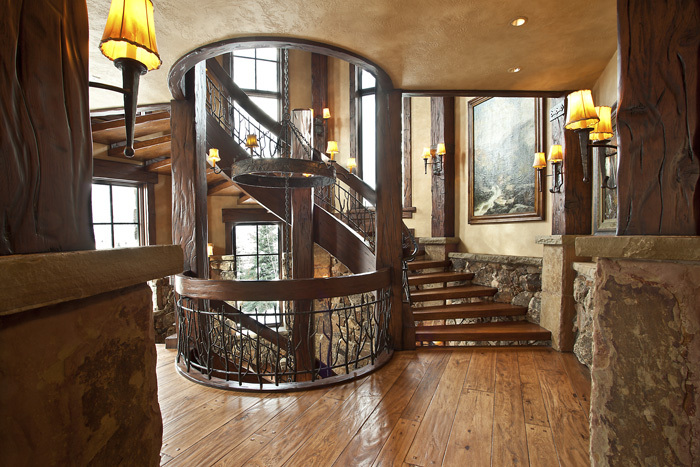 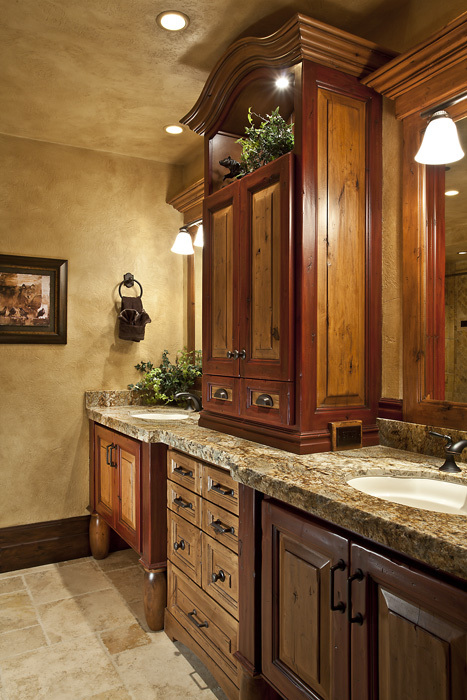 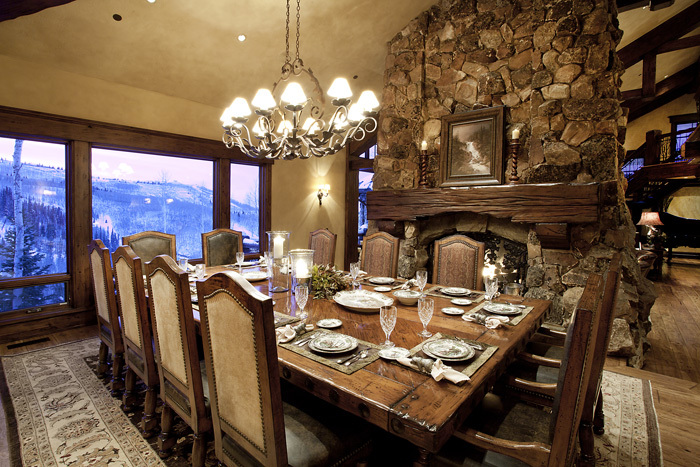 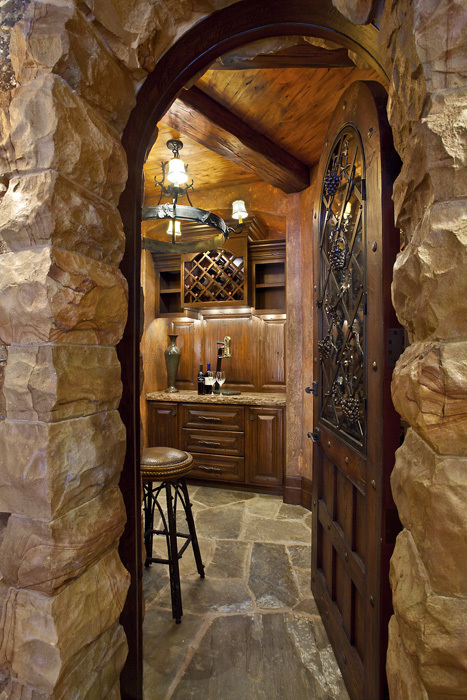 Wood, stone, iron, and fabulous custom crafted furniture by the finest artisans grace the home.